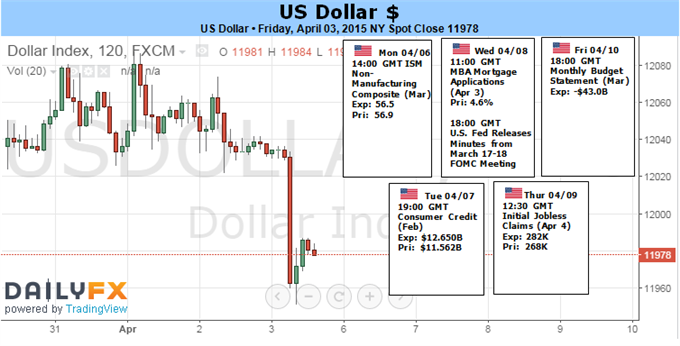 The US dollar had a rough week, making gains in Q1 but erasing them in the wake of Q2, especially towards the end. US ISM Non-Manufacturing PMI, rate decision in Australia, Japan and the UK, FOMC Meeting Minutes, US unemployment claims, Canadian employment data are the major market movers on Forex calendar. Here is an outlook on the highlights of this week. 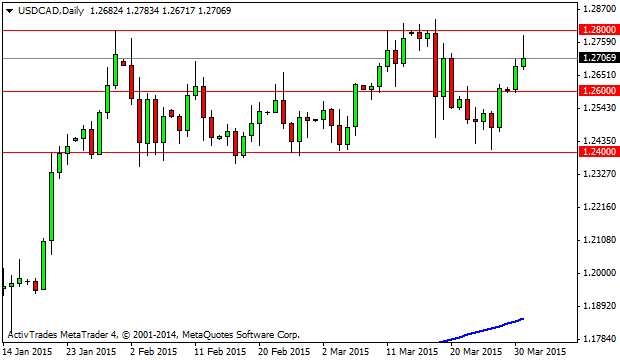 Initial good figures and end-of-quarter adjustments helped the greenback. However, the US Non-Farm Payrolls missed expectations with a smaller than expected job addition of 126,000 in March, much worse than expected and coupled with downwards revisions. The rise in wages and the drop in the “real unemployment rate” didn’t compensate. While some blame the weather and say it is a one-off, others see the weak economy finally hitting jobs. In the euro-zone, the Greek issues still weigh, while politics also impact the pound. The fall in commodity prices hit the Aussie but the loonie was resilient in the face of the deal with Iran, which could hurt oil prices. What’s next after Easter? US ISM Non-Manufacturing PMI: Monday, 14:00. The US service sector expanded more than expected in February, rising to 56.9 from 56.5 in February. Economists expected a lower reading of 56.5 in February. The New Orders Index posted 56.7, 2.8 points less than January’s 59.5. The Employment Index edged up 4.8 points to 56.4 from 51.6 in January, rising for the 12th consecutive month. The Prices Index increased 4.2 points from the January reading of 45.5 to 49.7. The elevated figures indicate economic conditions are improving. US service sector PMI is expected to reach 56.6 this time. Australian rate decision: Tuesday, 4:30. Australia’s central bank maintained its cash rate despite calls for another rate cut. However, implied further easing measures may be introduced in the next policy meeting. The RBA preferred to assess the impact of February’s cut before lowering rates once again. Australian cash rate is predicted to remain at 2.25%, but a cut could also come on the background of falling commodity prices. This is a critical event. Japan rate decision: Wednesday. The BOJ maintained its monetary policy in March and continue with its plan to raise monetary base to an annual pace of JPY 80 trillion reaching the Bank’s 2% inflation target. However Haruhiko Kuroda, Bank of Japan governor, admitted for the first time, he could not rule out deflation in the coming months, due to the oil price crush, but assured it won’t necessarily affect the underlying trend in inflation in the long term. The BoJ expects a gradual rise in demand will boost inflation forecasting price rises of 1% in the fiscal year ending in March 2016 and 2.2% for 2017. 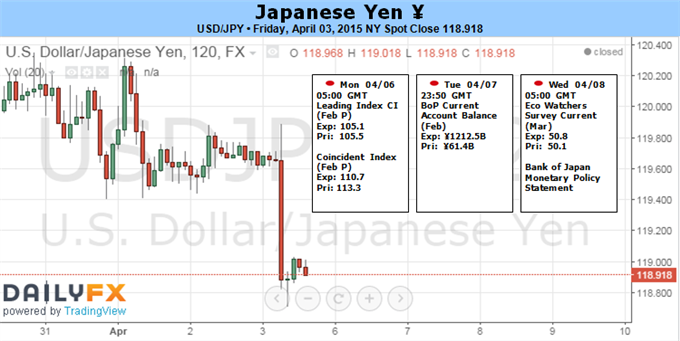 The BOJ is expected to keep its monetary policy unchanged, but pressure is mounting. US FOMC Meeting Minutes: Wednesday, 18:00. In the last meeting, the Fed removed the “patience” wording regarding interest rates and also left some dovish hints, especially with the dot plot. The latter showed slower rate hikes this year. We will now see what members were thinking. A dovish look will enhance the NFP impact, while a hawkish one could leave markets puzzled. UK rate decision: Thursday, 11:00. The Bank of England kept its benchmark rate at 0.50% in its March meeting. 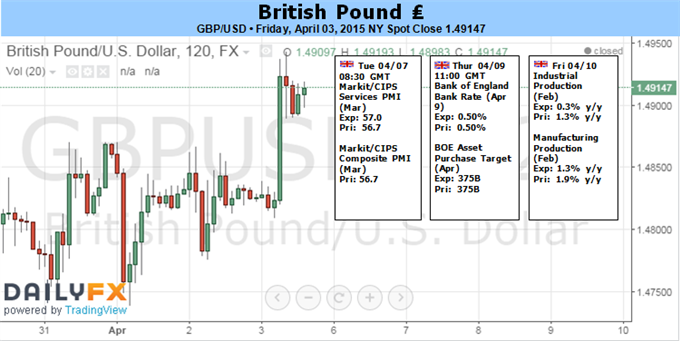 BoE’s Governor Mark Carney, noted that the next move will be up despite current deflationary pressures. Low inflation may be a blessing in disguise for the UK economy, providing households with greater spending power, in times of sluggish wage growth. Furthermore, cheap imports are also positive for consumers boosting spending and economic growth. The BOE is expected to maintain rates at 0.50%. US Unemployment Claims: Thursday, 12:30. The number of new claims filed for unemployment benefits in the US declined considerably last week to 268,000 from 286,000 in the week before. The 20,000 fall reasserts the positive trend in the US labor market. Analysts expected only a minor drop in the number of claims. The number of people continuing to receive jobless benefits declined by 88,000 to 2.33 million. The number of claims is expected to reach 271,000 this week. Canadian employment data: Friday, 12:30. Canada’s job market showed signs of weakness amid the global oil slump. Job contraction occurs in crude-rich provinces affecting the overall unemployment rate. The labor market shed 1,000 jobs in February, increasing the jobless rate to 6.8% from 6.6% in January. Analysts expected a job loss of 3,500, but predicted a slower rise of 0.1% in the unemployment rate. The major decline in oil prices also lead the BOC’s decision to cut interest rates in January. Canadian job market is expected to rise by 0.1% while the unemployment rate is forecast to remain at 6.8%. 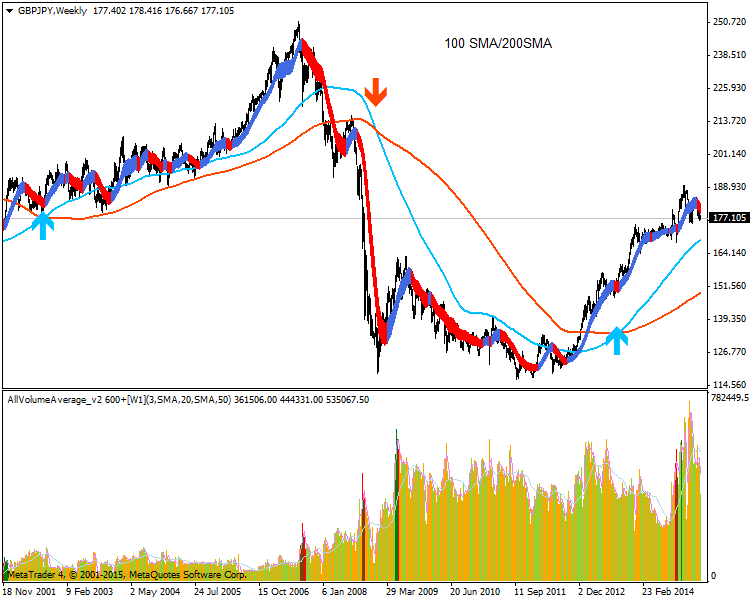 By examining the daily chart of the GBPJPY pair, we easily can notice that the pair has moved aggressively downwards during the previous period after placing a short-term top in the 185.00 regions. The psychological areas of 185.00 intersect with 61.8% Fibonacci of the major decline from 189.65 to 175.45 and that added strength to this resistance. Being dominated by the potential Pitchfork channel could lead the pair towards the median line, activating breakout process below 175.45 hard support. Indeed, the short-term bias remains bearish with coverage from moving averages; however, we prefer to use the sell stop order below 175.45 to enter the market with targets at 170.00 zones. Last edited by 1Finance; 04-04-2015 at 04:56 AM. The British Pound may have set a bottom against the Japanese Yen after producing a bullish Morning Star candlestick pattern. Near-term resistance is at 178.48, the 23.6% Fibonacci retracement, with a break above that on a daily closing basis exposing the 38.2% level at 179.73. Alternatively, a reversal below the 14.6% Fib expansion at 177.17 clears the way for a challenge of the 176.31-40 area (23.6% threshold, triple bottom). Pound Sterling Forecast vs the Indian Rupee (INR), Russian Ruble (RUB), Swiss Franc (CHF), Turkish Lira (TRY) and Japanese Yen (JPY). The Pound advanced on several of its peers on Tuesday as UK Consumer Confidence and growth data printed above expected levels. While the GfK gauge of UK sentiment rallied to a 12-year high of 4 in March from 1 in February, the nation’s final fourth quarter growth data was revised to 0.6% on a quarter-on-quarter basis and 3.0% on the year. Sterling extended gains against the Euro as the Eurozone’s unemployment rate came in at 11.3% rather than 11.2% and the annual core consumer price index for the 19-nation currency bloc eased from 0.7% to 0.6%. The Pound advanced by over 0.4% against the Lira on Tuesday, taking the pairing to a high of 3.8739. The Lira held declines against Sterling even as Turkey’s fourth quarter growth data positively surprised. The rate of expansion in the nation in the fourth quarter came in at 0.7%, quarter-on-quarter, beating expectations for growth of 0.5%. On an annual basis, the nation’s economy grew 2.6% instead of the 1.85% anticipated. Turkey’s trade balance report did show an unforeseen widening in the deficit however. Sterling was trading in a narrow range against the Ruble as the week progressed, moving between a high of 85.6900 and a low of 84.5200. Russian data has been lacking so far this week. Economists have forecast that the gauge of manufacturing rose from 49.7 in February to 49.75 in March, but remained below the 50 mark separating growth from contraction. Although demand for emerging market assets has been undermined by the bullish US Dollar, the Rupee has remained resilient and the GBP/INR currency pair dipped by over 0.2% during the European session. Prior to the publication of India’s infrastructure output and government budget value reports, the Pound Sterling to Indian Rupee currency pair was trading in the region of 92.4100. While the Pound advanced on a number of peers during the European session, the GBP/JPY pairing failed to post any notable gains. The Pound to Japanese Yen exchange rate was trending in the region of 177.5400, down 0.1% on the day’s opening levels. Tuesday’s Japanese Construction Orders number came in at 1.0% in February, year-on-year, smashing the forecast for a reading of 0.38%. However, the nation’s housing starts dropped by -3.1% on the year in February following January’s -13% decline. There is little doubt that the US Dollar maintains a fundamental advantage over most of its counterparts. However, that doesn’t make the currency immune to periodic speculative rebalancing. Following a record, nine consecutive months of advance (by the ICE Dollar Index’s and EURUSD’s ccount); the currency has stumbled for three straight weeks. Consolidation itself wouldn’t pose a serious concern as periods of respite are common as larger trends unfold. Yet, the market’s speculative appetite for the curency’s run may have over-reached the more modest fundamental means. With the market’s interest in FOMC timing intensified and the broader market pulling back on over-leveraged positions, the Greenback is at increased risk of a meaningful correction. If we were to rank the fundamental themes that have proven the most influential for establishing direction and feeding momentum in the currency market, relative monetary policy would lead the pack by a wide margin. With the Fed closing the tap on its QE efforts – now just reinvesting capital from maturing assets – and weighing a time frame for a first rate hike, the Dollar is heading in the opposite direction to some of its most liquid counterparts. Whether the eventual rate hike is June, September or December; the US central bank remains on course to tighten where most others are easing. That said, throttling back on the hawkish march may still require the bullish crowd to pull back on their exposure. This past week, the economic docket delivered the perfect mix of labor data to mirror a view of a Dollar supported by an underlying trend but perhaps stretched by speculation. In the Bureau of Labor Statistics’ March report, the principal statistics supported the trend of improvement these past years. The unemployment rate held at its 7-year low 5.5 percent and wage growth firmed modestly to a 2.1 percent clip. Yet, the statistic that stands out was the 126,000-payroll figure that was nearly half the forecast. While a miss – even of that magnitude – will not change the fundamental trend of employment, it does temper its tempo. Given a heightened sensitivity to the timing of the first rate hike after the FOMC withdrew its verbal buffer on discussing the shift (the market associated the term ‘patient’ as a 3 month freeze on tightening), this miss has not gone unnoticed. While the Dollar dropped in wake of the news, the critical levels (the USDollar’s trend channel, 1.1000 for EURUSD, 1.5000 for GBPUSD, etc) still stood. Holiday liquidity conditions likely contributed to that hold, but the unfavorable turn will not be forgotten over the weekend. When the speculative pool fills back out next week, investors will reevaluate their valuation for the Greenback. When weighing the Dollar’s fundamental advantage, we should consider the surveys and assets that establish expectations. The FOMC did lower their year-end forecast for interest rates last month, but that outlook still stood at a premium to the market’s expectations. After the NFPs release, the December Fed Fund futures contract (an instrument used to hedge interest rate changes) dropped to its lowest closing basis in the contract’s life – and tipping the market’s confidence below a certainty that at least once hike will be realized in 2015. At the same time, two-year Tresaury yields dropped 11.7 percent. It is difficult to establish at what level the Dollar’s rally has over-reached its fair value as the Fed’s timetable contrasts its ECB and BoJ peers so definitively. However, there are speculative measures that may offer scale to the market’s appetite to exploit a consistent trend rather than follow due diligence on fundamental value. We have seen the US Dollar’s net speculative futures positions measured by the CFTC’s COT report soar these past 9 months. Having seen the Greenback position level out and some major counterparts (like Yenand Aussie dollar) rebound, we are seeing early stages of rebalancing. This is not unique to the Dollar nor just the FX market. Speculative excess is seen in most markets; and if deleveraging takes traction, the Dollar could suffer as well…until we hit panic levels. The Bank of Japan (BoJ) interest rate decision may heighten the appeal of the Japanese Yen and spur a further decline in USD/JPY should Governor Haruhiko Kuroda continue to endorse a wait-and-see approach following the April 8 meeting. It seems as though the BoJ will preserve its current policy stance throughout the first-half of 2015 in light of the recent rhetoric from Mr. Kuroda, and the central bank head may largely retain his pledge to achieve the 2% inflation target over the policy horizon especially as the committee sees the downward pressures from the sales-tax hike dissipating. However, the BoJ appears to be under increased pressure to further embark on its easing cycle as Kozo Yamamoto, an advisor to Prime Minister Shinzo Abe, argues that ‘further monetary easing is absolutely essential’ to combat the downside risks surrounding the Japanese economy and insists that the central bank should offer additional monetary support at the April 30 meeting. As a result, a material shift in the forward-guidance for monetary policy may highlight a growing dissent within the central bank and dampen bets for a further decline in the exchange rate as its U.S. counterpart, the Federal Reserve, remains on course to normalize monetary policy in 2015. Nevertheless, the bullish USD/JPY sentiment amongst retail FX traders appears to be picking up even as the dollar-yen struggles to hold above the 120.00 handle. The DailyFX Speculative Sentiment Index (SSI) shows long positions are 20.2% higher from the previous week; with 65% of the retail trader long USD/JPY. With that said, the crowded stance may continue to give way for a further decline in the exchange rate as the retail crowd goes against the near-term bearish momentum in the dollar-yen. In turn, more of the same from the BoJ may generate a larger correction in USD/JPY and the pullback from 120.35 may open the door for a test of the March Low (118.32) into the 61.8% Fibonacci retracement (118.20) as the pair carves a series of lower-highs in March. At the same time, we will also keep a close eye on the monthly opening range going into the first full week of April as full market participation returns on Tuesday following the extended holiday weekend, and the recent wave of U.S. dollar weakness may continue to take shape next week as the dismal data prints dampens bets for a mid-2015 Fed rate hike. The British Pound finished the week almost exactly where it began, first falling versus the US Dollar until a sharp USD sell-off sent the GBP/USD through key levels. A relatively quiet week ahead may produce much of the same absent a surprise from a Bank of England policy meeting. Traders look to an upcoming Bank of England Monetary Policy Committee meeting for any surprises, but low FX volatility prices suggest few expect officials will make changes to policy or release a post-meeting statement. Economic releases will be limited to UK Markit PMI figures, Trade Balance data, and Industrial Production growth reports. It would take a material surprises out of any of these reports to force a meaningful reaction across GBP pairs. Markets remain indecisive as we’re now just a month away from the UK General Election, and current polling shows no single party is likely to take an overall majority following the May 7 vote. In effect, the United Kingdom could remain without an effective government for six weeks. The British Pound is likely to suffer amidst such uncertainty. Derivatives show that FX options traders are paying a substantial premium for bets on/hedges against GBP/USD weakness in two months’ time—the exact timeframe for the post-election uncertainty. And indeed, risks seem weighed to the downside for the British Pound through the foreseeable future. A recent US Dollar sell-off has kept the GBP/USD above key support, but the UK currency may continue to underperform against broader G10 counterparts. After weeks of preoccupation with external forces, the Australian Dollar will see domestic factors re-enter the spotlight. The Reserve Bank of Australia is due to hold its monthly monetary policy meeting, with conflicting cues ahead of the sit-down’s outcome warning of volatility ahead. A survey of economists polled by Bloomberg forecasts that Glenn Stevens and company will keep the benchmark lending rate unchanged at 2.25 percent. Priced-in expectations put the probability of a 25 basis point reduction at 75 percent however. This means that – whatever the outcome – a meaningful share of the market may be caught wrong-footed and scramble to adjust exposure. For its part, the RBA may well have warmed up to topping up stimulus. Growth slowed to the weakest in a year in the fourth quarter and the malaise appears to be carrying over into 2015. Overall economic news-flow continues to disappoint relative to consensus forecasts and exports – long a bastion of strength – have fallen for 10 consecutive months compared with a year prior as iron ore prices sank. The reintroduction of event risk on the homegrown front will dismiss the market-moving potential of macro forces however. The Fed will publish minutes from its March meeting, with traders keen for confirmation of the deepening dovish shift in timing bets on the first post-QE rate hike. Futures markets reveal a lean toward an increase in October after Friday’s dismal payrolls data, a far cry from earlier speculation about June or July. Signs of trepidation on the FOMC may boost risk sentiment as well as the Aussie. Continued deadlock between Greece and its creditors remains another source of worry. Athens is due to repay €462 million to the IMF next week and service an additional €2.4 billion in maturing treasury bills in the week that follows. The absence of an accord on bailout funding may mean these payments are missed, setting off the spiral toward default and – in the worst case scenario – an exit from the Eurozone. Needless to say, such a turn of events would spell trouble for sentiment and the Australian unit. Gold prices are higher for a third consecutive week with the precious metal advancing nearly 0.4% to trade at 1202 into the close. The rally comes on the back of weakness in the USD with a dismal US employment report on Friday fueling a sell-off in the greenback into the close of the week. Although near-term price action is clouded heading into an extended holiday weekend, the broader outlook remains constructive while within the confines of a near-term technical formation with price action in the Dow Jones FXCM U.S. Dollar Index (Tickers:USDOLLAR) also in focus next week. The US Non-Farm Payrolls (NFP) release on Friday came amid thin liquidity conditions with global markets (save Japan) closed in observance of Good Friday. A print of 126K jobs added last month missed consensus estimates for a read of 135K with the headline unemployment rate holding steady at 5.5%. Despite an unexpected uptick in wage growth, the ongoing deterioration in labor force participation along with the recent batch of weaker-than-expected U.S. data may fuel further dissent within the committee and drag on interest rate expectations. As such, narrowing bets for a mid-2015 rate hike may undermine the bullish sentiment surrounding the dollar and heighten the appeal of bullion as the slowing recovery raises the Fed’s scope to retain the highly accommodative policy stance for an extended period of time. Last week we noted that gold was, “vulnerable for a pullback early next week but the bias remains constructive while above the 1167/72 barrier where the 61.8% retracement of the advance converges with a former resistance line off the 2015 high (bullish invalidation).” A pullback early in the week extended as low as 1178 before reversing sharply back through the 1196 inflection barrier we’ve been tracking for the past month (now near-term support). The technicals get a little murky here after such an extended rally & until full market participation returns on Tuesday, we’ll remain neutral here while noting a general topside bias while within the confines of an ascending median-line formation. 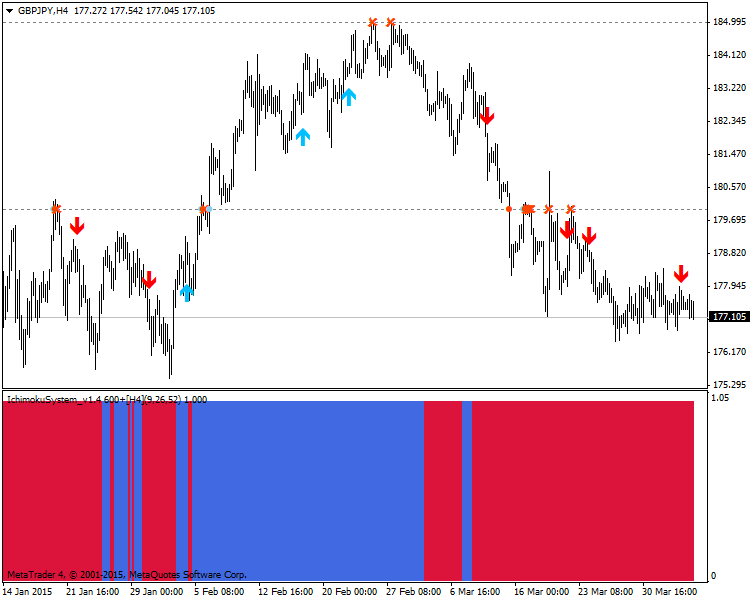 Expect price action to spend some time in this range with support & bullish-invalidation now raised to this week’s low. Initial Resistance is eyed at a longer dated median-line, currently around 1215 backed by 1223/25 & key resistance at 1245/48. 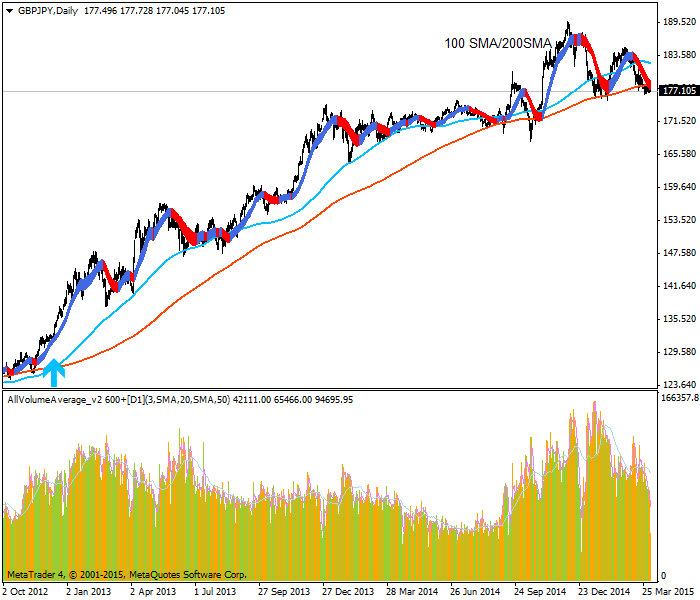 A break of the lows targets the 1167 support barrier with subsequent objectives seen at 1150/51 & 1141/42. Bottom line: waiting for market conditions to normalize into next week with our outlook weighted to the topside while above 1180. If we take a look, we can see that the support has been around the 1.2400 level and the resistance around the 1.2800 level. The middle of the range is the 1.2600 level and we can tell from the chart that the price has also found that level to be a temporary support or resistance zone. The general theory when trading within a range is that short or sell positions are taken on the resistance and long or buy positions on the support, but this is easier said than done, because first of all, we cannot be so sure about the range until the price has already tested the upper and lower boundaries a couple of times and the consolidation becomes clear. The risk of taking short positions at the resistance and long positions at the support is that at any moment the price may break that resistance or that support and we may get stuck with a position on the opposite direction of the breakout. This is what makes range trading more difficult. That is why when trading within a range, we must be aware of the risks involved and we should accommodate our stop loss to a level that does not represent a huge loss to our account. Remember that usually when the price breaks out of these ranges, it tends to accelerate its momentum in the direction of the breakout and it may be not very wise to trade against that momentum or speed.